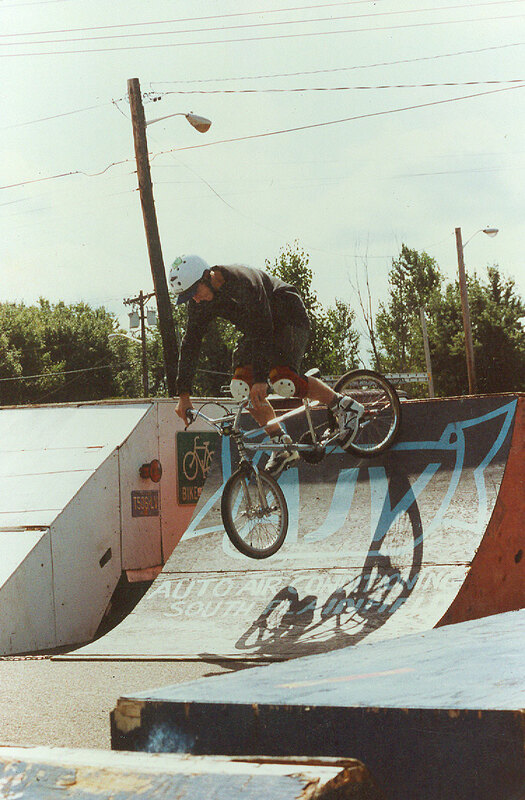 An alumni of the old Ramp-Ateria, NJFL, TC Cycles era, Brian Tunney has started a “50 BMX Riders from New Jersey” set of articles on his blog site, assblasters.org. Included in his first ten are some pretty heavy hitters on the NJ scene in the late 80’s and early 90’s. It’s a good read and strangely enough, the list includes me. Go learn some NJ BMX history. …and thank you to Brian for including me. Brian has also been featured on BMXNJ more than a few times in the past. Just search the site for Brian Tunney and see what comes up. In the meantime scope this old shot of him riding a ramp. NEXT POST Next post: 5 Before 1985. 5 Guys who made BMX into BMX Freestyle in NJ.